Smoking is permitted on the property away from the cottage, cottage windows. Pet are allowed, however we review each pet for suitability. Please notify at the time of booking if you plan to travel with you pet. It is expect that the cottage in the same state of general order and cleanliness in which it was found. Please ensure microwave, stove, and fridge have been emptied and cleaned. Trash, compost and recycling to be placed outside in the appropriate bins (between sheds). Perfect beautiful home for our extended family of 7! 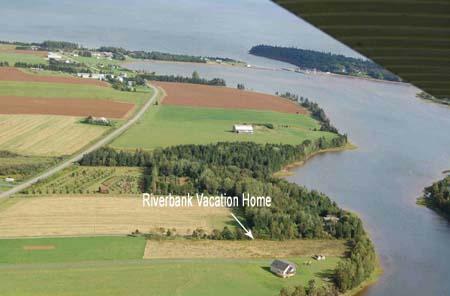 The Riverbank Vacation Home is located in the picturesque community of Fortune Bridge, Prince Edward Island on the beautiful Fortune River. Enjoy yourself in this all-season riverfront cottage featuring a large combined living room, dining room and kitchen with pine cathedral ceilings and floors throughout. 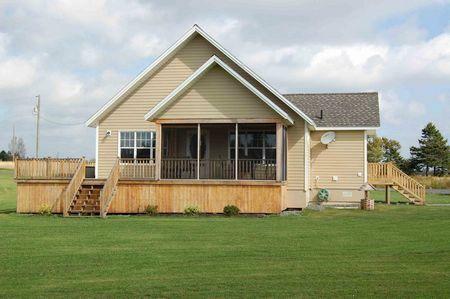 Relax and enjoy the views of Fortune River from the screened in front porch and wrap around deck. 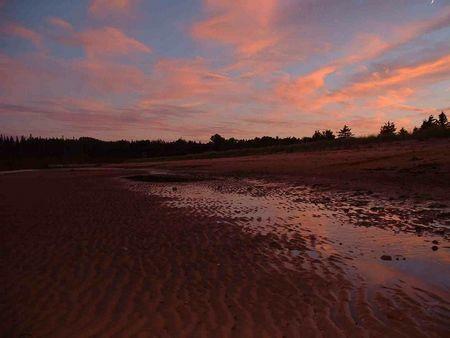 The cottage is located 8 minutes west of the Town of Souris with beaches, swimming, golfing, and restaurants within minutes of the Riverbank Vacation Home. A perfect place to relax and play!